As a Signature Member, you will enjoy unlimited rounds of golf, exclusive discounts and benefits and advanced opportunities not extended to other memberships. You have made Tustin Ranch Golf Club your home course. Now, it's your golf haven. AT (714) 730-1611 X2106 OR AT JCHOI@TUSTINRANCHGOLF.COM. Golf for monthly green fees as low as $385 for an individual, plus cart fees. 20% off Sunday brunch, clubhouse restaurant dining and Golf Shop apparel and accessories (excludes sale merchandise). 10% off regular and custom fit golf clubs, bags, footwear, headwear, sleeves of balls and group golf lessons. 50% off driving range items including passes, cards and individual buckets. 5% off on private golf lessons. Booking windows of 17 days through Golf Shop; 30 days online. Special pricing for club tournaments and events. Special Signature Member Guest Fees. Beverage include with every round played. 10% off annual and six-month junior play passes (17 years and under). Juniors may play on monthly green fees as stated in the terms and conditions of membership. Earn Loyalty Points with every purchased charged to your member account. Charging privileges with monthly statements. Participating children 22 years and younger may not make a tee time but will follow existing junior play policy (please see the Pro Shop for current policy). Children under 18 years are not allowed to use a golf cart unless accompanied by an adult driver. I understand I have unlimited golf, but are there restrictions as to when I can play? 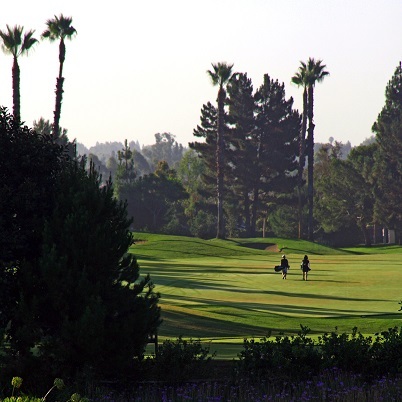 When booking fourteen days in advance, there are no restrictions, however, by grant deed, Tustin Ranch Golf Club is an "open for public play" golf facility and does reserve space for general public and outside events. Accordingly, no guarantee of available space is expressed or implied. What is the cancellation policy on tee times? We require a 24-hour notice of cancellation for all tee times. "No shows" will be charged the Signature guest rate. Is there a charge for carts? Yes, there is a cart fee of $11 for 18-hole rounds and $6 for 9-hole or Twilight rounds. Walking carts are available for $8. Signature Membership applications subject to management approval. Requests for any changes, additions or deletions to Family Signature Membership designated users must be submitted to Tustin Ranch Golf Club in writing and are subject to membership terms and conditions and approval by club. Prices, terms and conditions are subject to change without prior notice.